And your close bond with your sister reminded me of me and my sister. And thank you for inspiring authors worldwide. Andreja was also named Marie Claire Spain’s Model of the Year. Past winners of the prestigious accolade include Saskia de Brauw, Irina Shayk, Gemma Ward, Arizona Muse, Doutzen Kroes, Linda Evangelista and Anja Rubik. “€400 a month?”, Janet asked, trying hard to disguise the surprise in her voice. “Yeah. €50 a week.”, Linda replied, trying hard to disguise that she had noticed the surprise in Janet’s voice. Later as Janet sat in her apartment she felt tears come into her eyes. The conversation she had had with Linda earlier in the college canteen had hit her hard. Her monthly rent came to €3,000 and she had never thought anything of it. The shoes on her feet cost €1,000 alone, €200 more than Linda’s and Roy’s rent cost. She felt stupid for crying about Linda’s situation because Linda was happy and content but nonetheless she felt bad and very guilty. She wanted to take her out shopping and for a coffee in the posh cafe she went to on a regular basis. Suddenly she felt like her wealth was like a noose around her neck, an anchor bringing her down. All her life she had enjoyed the good life without a second thought. She knew there was people in the world with less money than she did but from a distance it had been easy. Easy to make uneducated assumptions about why people struggled financially. Easy to think it was their own fault: that they were stupid or lazy or unambitious. But confronted by reality in the form of a hard-working, ambitious and highly ambitious fellow journalism student she found all her old prejudices become null and void. And more than that Linda had been nice to her. By nature Janet had always been an introvert and starting college had been a nerve-wrecking experience for her. But Linda had been patient and let her guard fall over time instead of reminding her how weak a conversationist she was like so many before her had. She was the first real friend she ever had. The next day as the two women left the college grounds Janet suggested they take a trip to one of her favourite stores. Linda’s face fell but she soon composed herself. “I’m sure he does.”, Linda laughed. Style Highlights From The Baftas! Continuing her success in the style Alicia Vikander donned a gothic style Louis Vuitton gown for the night with matching gothic lipstick and hanging earrings which matched the design on her dress. Winner on the night for Best Costume Design for Mad Max:Fury Road, Jenny Beavan looked amazing for her win in a hippie rock style. Sandy Powell paid homage wonderfully to the late David Bowie on the night. Angela Bassett looked sensational in a beautiful flowing pink gown on the night. Idris Elba looked dapper on the night. Winner of the Rising Star award on the night John Boyega looked stunning on the night for his win. Host Stephen Fry looked dapper on presenting duties in a wonderful velvet green jacket. Douglas Booth looked beautiful on the night in an understated black suit. Scotty T Wins Celebrity Big Brother! 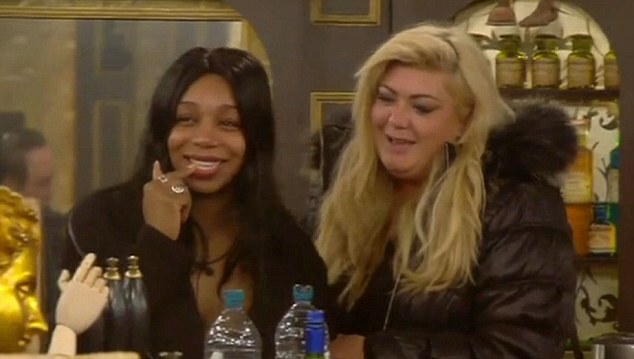 Last night my mum, my sister and I had our Big Brother party while watching the CBB final. My mum and I had bets on Stephanie Davis so it was a nail-biting finish in which our fairytale end to the party sadly didn’t happen. In the end glory went to Geordie Shore’s Scotty T who completed a hat-trick of wins for Geordie Shore cast members following Charlotte Crosby’s previous CBB win and Vicky Pattison’s I’m A Celeb triumph. Second place went to former Hollyoaks actress Stephanie Davis while Darren Day and Tiffany Pollard rounded off the top four finishing in third and fourth place respectively. Danniella Westbrook finished in 5th spot while John Partridge finished in 6th place. My Opinion Of The CBB 2016 Finalists! Tiffany has been lovely and hilarious in this year’s CBB. Her friendship with Gemma has been wonderful to watch. She is so entertaining and the night when she kissed Jeremy and Scotty in the truth or dare game was a memorable night in this year’s CBB. There was the Darren nomination which wasn’t a good moment for John in it but I do like him in it and if Tiffany or Gemma don’t win I hope John does. He has been entertaining and nice. Darren seems a nice man but I don’t think he has been that entertaining in it. Like Darren, I think Scotty seems a nice man but he hasn’t been that entertaining in it. The Best Style From The SAG Awards! Winner of the award for Outstanding Performance By a Female Actor in a Supporting Role for The Danish Girl, Alicia Vikander wowed in a beautiful sequin gown by Louis Vuitton on the night which had a wonderful hippie flair. Winner of Outstanding Performance by a Female Actor in a Television Movie for Bessie, Queen Latifah looked stunning in a gothic-style black sequin gown. Dressed in Roland Mouret, Kristen Wiig looked amazing on the night.